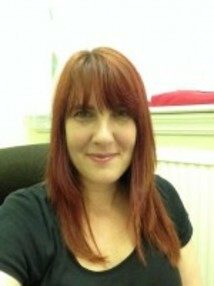 Hello, I am a Leeds city centre based registered and qualified counsellor. I offer daytime, weekend and evening appointments with student discounts available for full-time students. I am a registered member of the BACP and work within their ethical framework. You maybe thinking of counselling because you are feeling confused or alone at the moment and are struggling to cope. During an initial meeting together we can look at what you feel is and isn't working in your life and where you would like to be by the end of our counselling sessions. Therapy can offer you the time and space to explore your thoughts and feelings in a safe, empathic and non-judgmental, confidential space. You may seek short-term therapy to focus on a more specific issue or traumatic event that you have experienced such as a bereavement, divorce or job loss or you may wish to have longer term open-ended therapy to explore yourself and your relationships more deeply. As an Integrative Counsellor I believe that there is no single therapeutic model that is effective for the range and complexity of experiences that people bring to counselling. The way I work draws on m training in a range of therapeutic approaches which informs my thinking allowing me to work in a way that is most appropriate and beneficial to my clients' needs. Please do not hesitate to contact me with any questions or queries you may have. Saturday and evening appointments available.